Easter is upon us and I wanted to make something where I could use carrots (because of the Easter Bunny of course). I didn’t want to make a carrot cake or cupcakes, so I came up with some carrot scones. They can be enjoyed with breakfast or after a light dinner with some coffee. Scones come in all different flavors and sizes. 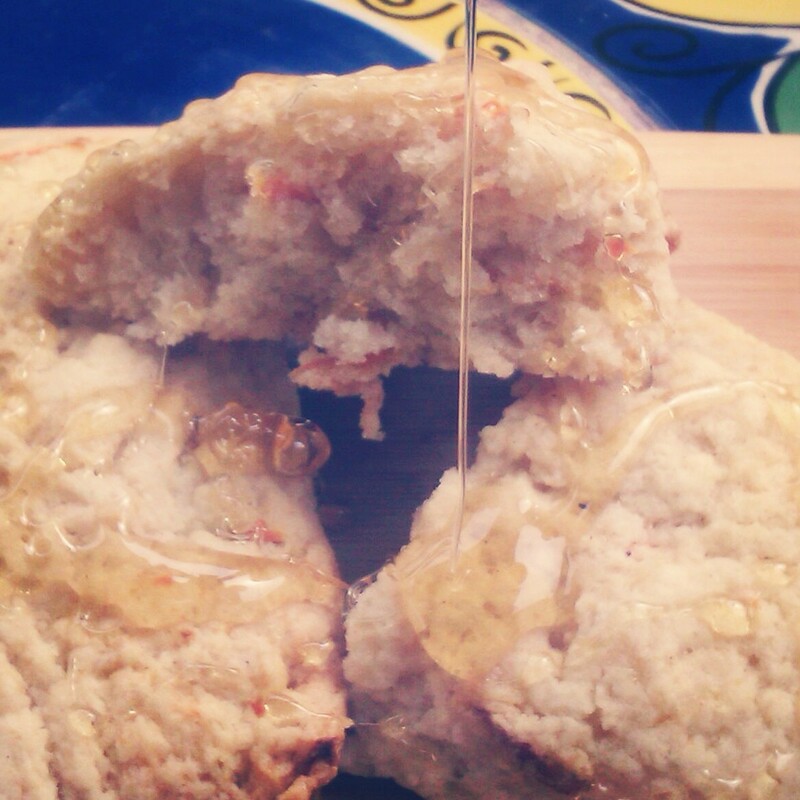 My mother in law loves scones; so when she got to try them and said that they were delicious, then I knew I had a great little recipe to share with you. I hope you enjoy. Preheat the oven to 375 degrees. Line a baking sheet with parchment paper. Set aside. Drizzle some honey on top when serving. These would be lovely smeared with a little plain cream cheese. It never occurred to me to put carrots in scones. Great invention! I love reading and writing about new food experiences and wondered if you would like to join a new link up party called Our Growing Edge. A growing edge is the part of us that is still learning and experimenting. It’s the part that you regularly grow and improve, be it from real passion or a conscious effort. The event aims to compile a monthly snapshot as to what bloggers are doing in terms of new challenges with food. This monthly event aims to connect and inspire us to try new things. We are currently accepting posts for March and I hope you can make it. Wishing you a delicious week! I went for afternoon tea last week and had delicious scones. Never really thought to make them myself…nor did I think of carrot scones! These look yummy! Maybe I’ll give it a try. Your photo’s so pretty, with the honey drizzle. Thanks for sharing! Good thinking! They sound great! Can’t wait to try these with Gluten free four! Yum. Thanks for your creativity!